To place an order - Click Here! "Commercial Vermiculture": How to Build a Thriving Business in Redworms," by Pete Bogdanov Practical advice for starting your own worm farm. 88pp. 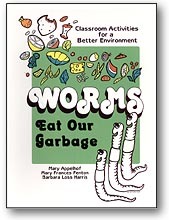 Worms Eat Our Garbage, Classroom Activities for a Better Environment," by Mary Appelhof, Mary Frances Fenton, and Barbara Loss HarrisOver 150 worm-related activites to develop problem-solving and critical-thinking skills in children grades 4-8. 232 pp. + 16 appendicies, resource materials, etc. 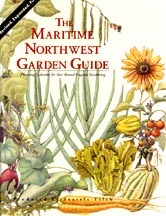 "The Maritime Northwest Garden Guide"Published by Seattle Tilth Association - Revised and expanded, this month-by-month planning and planting guide for year-round gardening in the Pacific Northwest is indispensable. Its popularity is explained by the accuracy and depth of the information it gives. And it's fun too. It's a must have for Northwest gardeners. 174 pp.